1. 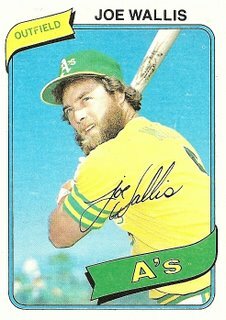 I think he may have been the first A’s regular to wear Reggie’s old number 9 after Reggie left. He was destined to never live up to that number. 2. That 1978 A’s team was 55-51 at the end of July, but went 14-42 the rest of the way. 3. I dug a little further. At the end of July 1979 the A’s were 30-77. That means that in a span of 1 year, across the 77 & 78 seasons, they went 44-119.